This replacement brass lock suits many soft flapover briefcases. There are sometimes two at the front of the case. 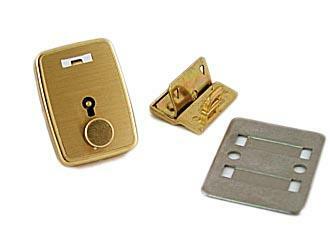 The lock measures 22mm x 37mm. The hasp measures 25mm by 20mm.